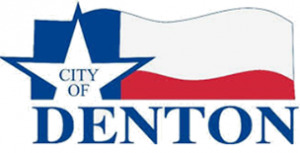 The City of Denton’s Parks and Recreation Department has just under 50 employees. The Parks and Recreation department handles maintenance on all playground equipment, as well as the irrigation for all athletic complexes. Parks and Rec are also responsible for some public grounds in the area. Previously, The City of Denton’s Parks and Recreation department used a system that was not web based and was extremely detailed. Jennifer Tyler, Administrative Assistant, at The City of Denton’s Parks and Recreation department, recalls it being a paper nightmare in which maintenance technicians had to fill out reams of paperwork. “It had a ripple effect that was extremely time consuming and not at all efficient,” said Jennifer. It was quickly determined that it was time to investigate an alternative. The team called different city offices that were similar in size. The search results? No organization they reached out to used anything official to streamline, document and report on maintenance. Most were using spreadsheets. “There were organizations that actually asked us to share the results of our search,” said Jennifer. Jennifer was looking for software that was able to compare apples to apples when it came to documenting their budget and the actual incurred costs. She wanted to track how much time was spent performing activities and services. Reporting this data in a flexible format was also important. Since implementing MicroMain Maintenance, The City of Denton’s Parks and Recreation department couldn’t be more pleased. The system is easy-to-use and has made ramp-up fast. Implementing MicroMain Maintenance has helped the city manage its workflow and reduce costs annually.